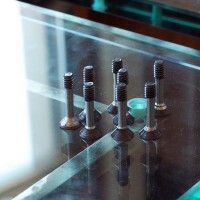 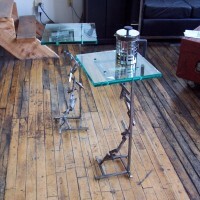 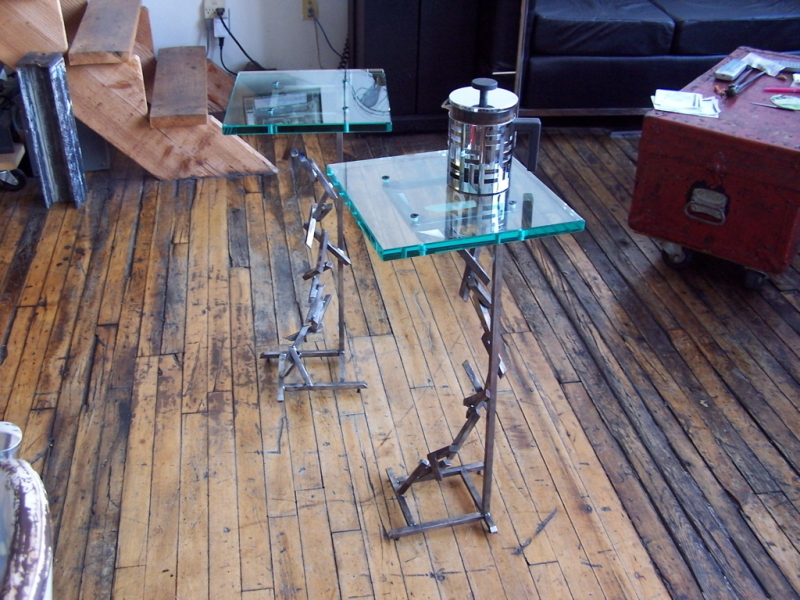 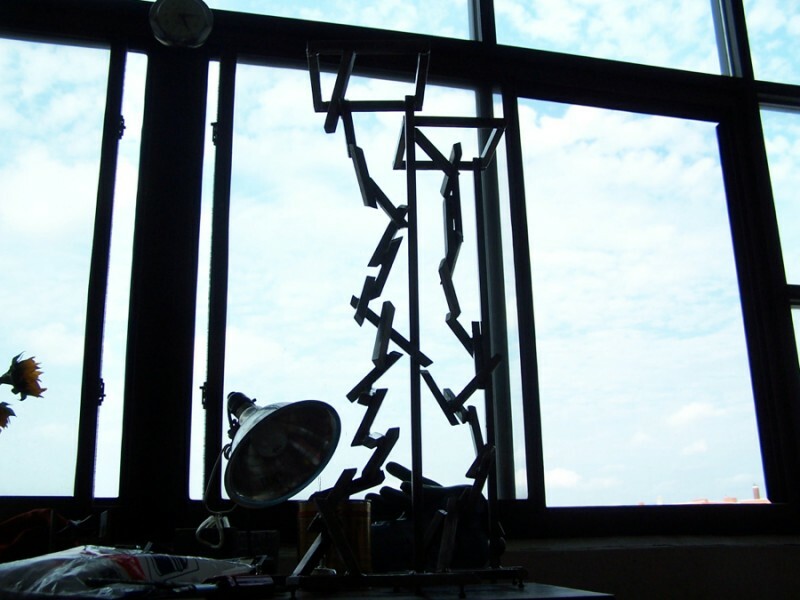 These are made from the same batch of steel as my much larger table legs. 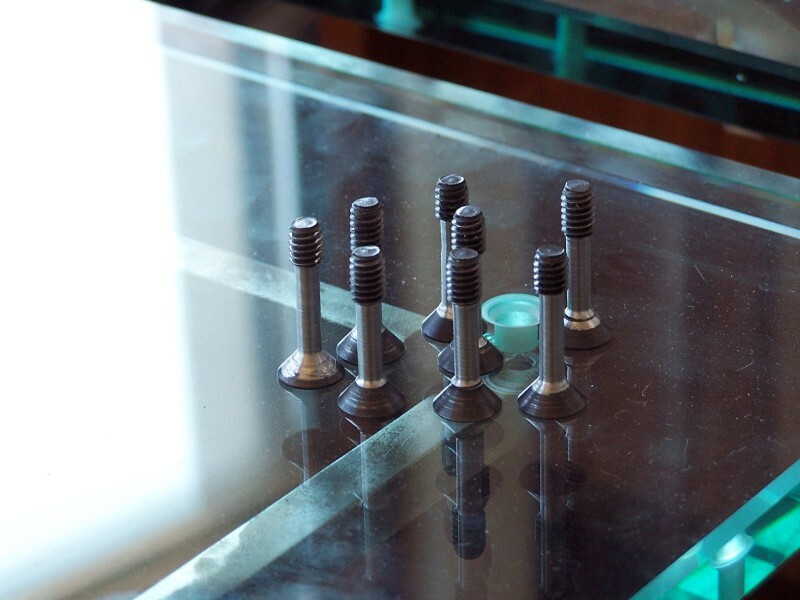 The glass is 3/4″ thick, 1′ square, held to the tables with 1/4-20 counter-sunk socket head screws cut down on my old Craftsman 109 lathe. 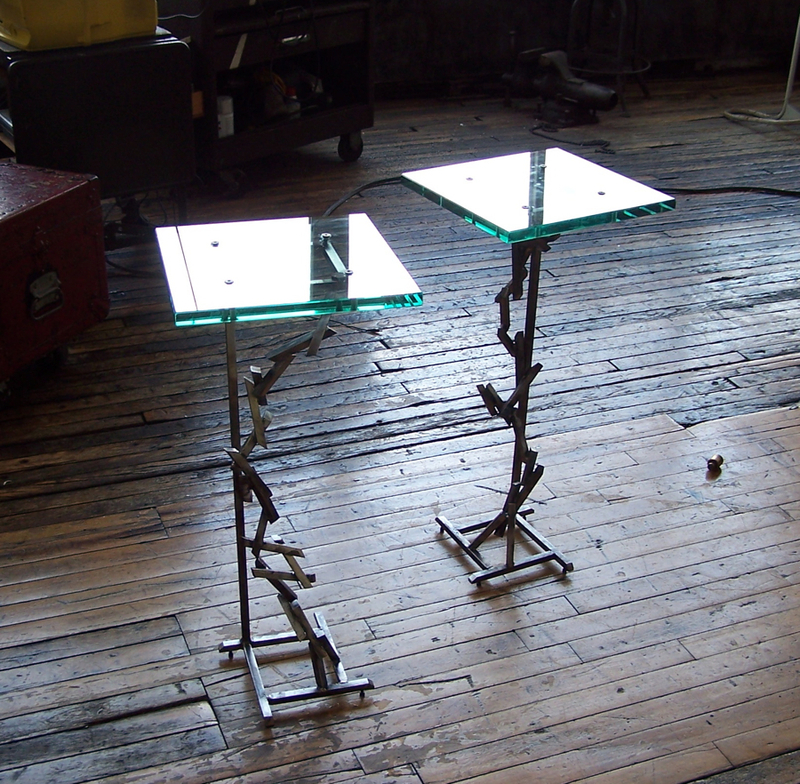 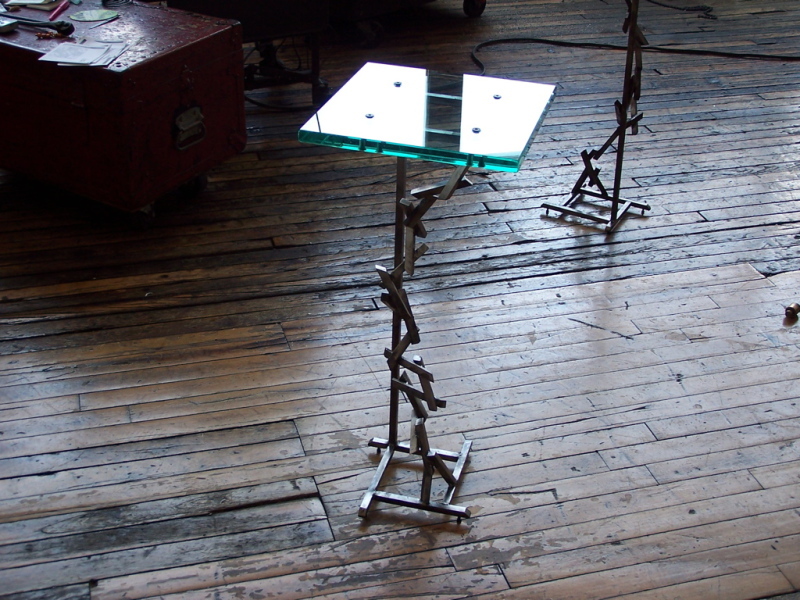 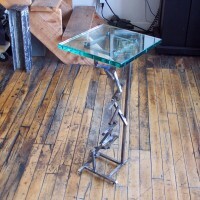 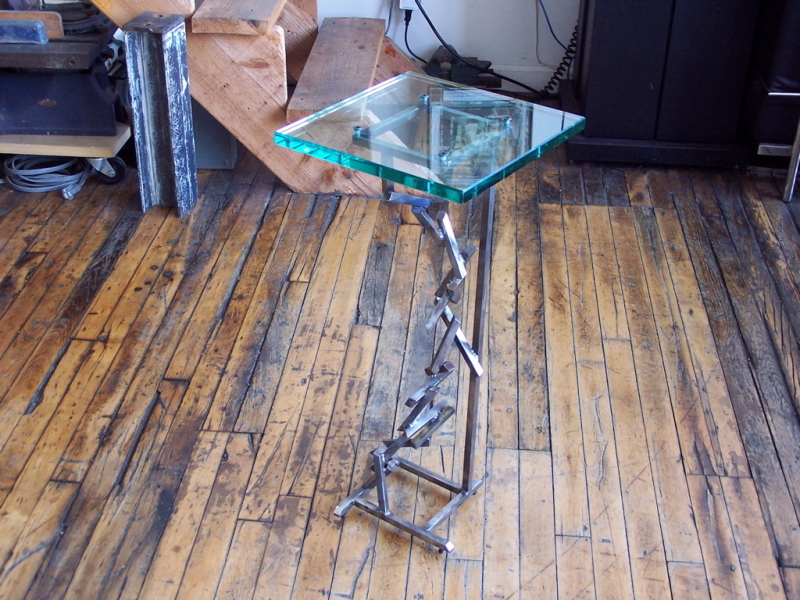 The glass was cut, drilled and polished by Cristal Vetro in Brooklyn. 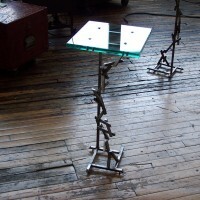 It turns out that 3/4″ thick glass is very, very expensive. 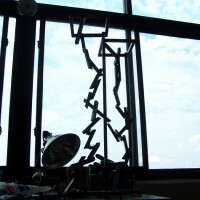 This entry was posted in stuff on July 30, 2006 by ben.